KidSport enables eligible Western Australia children ages 5 to 18 years to participate in community sport and recreation by offering them financial assistance of up to $200 per calendar year towards club fees. Currently KidSport can be applied for online or by using a hard copy application form. KidSport applications are assessed by the local government in which the child resides. If an application is approved, the parents will receive a code (unique to the application) via email. The code needs to be provided to the club so that the approved amount can be deducted from the registration fees. For more information on the KidSport Program including Application forms and KidSport Approved Clubs visit the KidSport page of the DLGSCI website. The aim of this grant is to develop the skills of a young event rider through access to an individual coaching program with NCAS coach Philippa Collier. This Coaching Grant has been created by a generous benefactor who wants to recognise an up and coming young rider who for financial reasons, may not have the opportunity to regularly access coaching or training facilities. $2500 to be spent over the calendar year on lessons, travel, hire of facilities, or other equestrian related expenses that the candidate and coach agree on. Information regarding applications is advertised in the Pony Club Post between December and February each year. Read or download the Regional Athlete Travel Subsidy Guidelines from the DLGSCI Website. 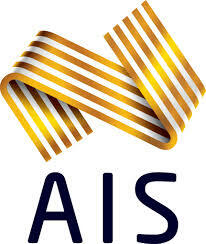 For more information regarding the Local Sporting Champions Grant visit the Australian Sports Commission website. The Val Polich Bursary was created by Pony Club WA in conjunction with the Polich Family, with the aim of maintaining Val Polich’s lifetime focus of providing opportunities for pony club members to participate and develop their skills and knowledge. Val was one of the founders of Swan View Horse & Pony Club, later known as Swan Valley, where she was Chief Coach for many years. As well as her club commitments, Val was extremely influential at state level with a long history of involvement as a member of both the State Coaching Panel and State Active Riding Committee as well as serving terms as State President and State Vice President. Val Polich was instrumental in starting the very first Pony Club WA Festival in 1975 and maintained her involvement up until her passing in 2011. This bursary will provide support for a Pony Club member who is experiencing financial hardship or has a physical or mental disability, either of which is limiting their opportunity to participate in pony club activities. Should be under 16 years of age, however older members with exceptional circumstances may be considered. This bursary will provide support for a Pony Club member who is over 16 years old to achieve efficiency certificates or coaching and/or officiating qualifications. Must be aged between 16-24 years of age. The bursaries will be awarded annually, to be used during a calendar year. Each bursary offered will be valued at up to $500. All applications are to be received no later than January of the year of application. All applications will be treated in the strictest confidence. The Wheatbelt Athlete Support Program (WASP) supports the development of regionally based athletes, coaches, officials and sports whilst living within the Wheatbelt region. Bankwest is accepting applications for their Easy Grants on an ongoing basis. 40 Easy Grant applications received each month that meet the entry criteria will be up for public vote. If your application falls beyond the first 40 received, they’ll automatically include you in the next available month’s voting period. You are invited to vote on a monthly basis for the community group you think should receive a grant. The six groups with the highest number of votes will receive $1,000 each. The remaining groups will receive $200 each. Use the links Below to apply for a Bankwest Easy Grant or Vote for a Pony Club WA Clubs Application!